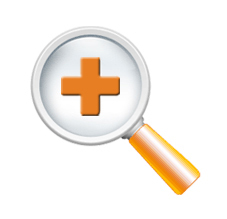 The site can be used to find a doctor by their name, location or specialty. You can also search by a type of service such as ‘lasik surgery’ or ‘open MRI.’ or search for any type of specialist of your choice. Find A Doctor also provides a secure portal for communication amongst doctors and between doctors and their patients. Doctors and patients can freely interact with one another in the Communication Portal secure in the knowledge that all communications are encrypted. Healthcare Providers and patients can communicate online via the Communication Portal with its secure encryption and firewall protection. How can I use the portal to communicate with my healthcare provider? You can request a New Patient Form, complete it and return it using the portal. You can find the office hours and availability of staff. You can obtain referrals as needed. You can submit questions about your prescriptions or request a renewal. Designated patients can access a calendar to schedule and/or request an appointment anytime via the web, 7 days a week. How can my patients use the Web-based Scheduler feature? Designated patients can request an appointment and identify the specific “service” they need. For example, a consultation, a well visit, an eye exam, a dental cleaning. Patients can select from the date and time slots that are available, choose the one that works best for their schedule and request an appointment. Patients can view your office hours. Healthcare professionals can email a colleague to request and/or proffer advice about a patient. Attach information pertinent to the case (e.g., X-ray, lab result, etc) to ensure full insight is obtained with the full assurance that you are in compliance with HIPAA regulations. The Find a Doctor website has partnered with Cisco to offer a professional solution for providers to communicate using our fully encrypted email service and personal calendar. You can now communicate online anytime, from anywhere with other healthcare professionals in a Protected Health Information (PHI) environment. Send email to colleagues to request and/or proffer advice about a case. Include information pertinent to the case (e.g.,X-ray,lab results) to ensure understanding of the overall condition, fully confident that you are in compliance with HIPAA regulations.